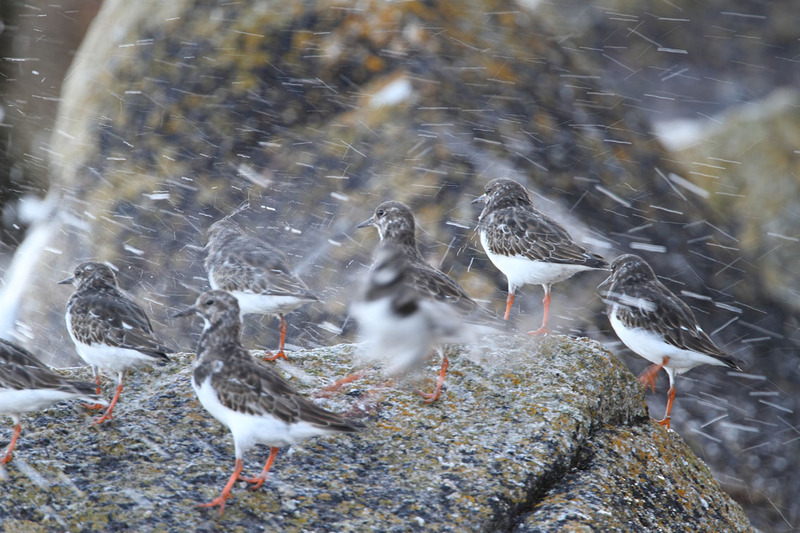 BIRDMAD: Scillies 20-30 October. My first autumn migration. 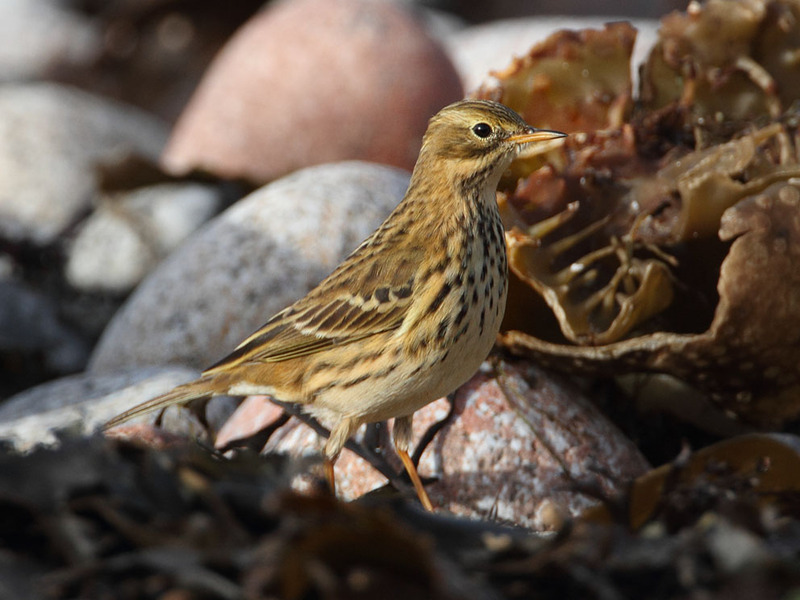 Scillies 20-30 October. My first autumn migration. 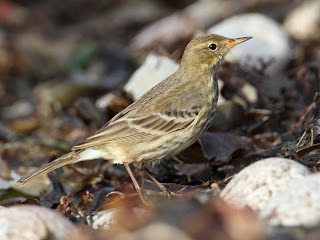 This was my 3rd visit to the Scillies in a little over a year, but my first trip for the autumn migration. From the ferry I saw 2 Manx shearwaters, several guillemots, 1 or 2 razorbills and a lot of gannets. I arrived at St Mary's about midday. 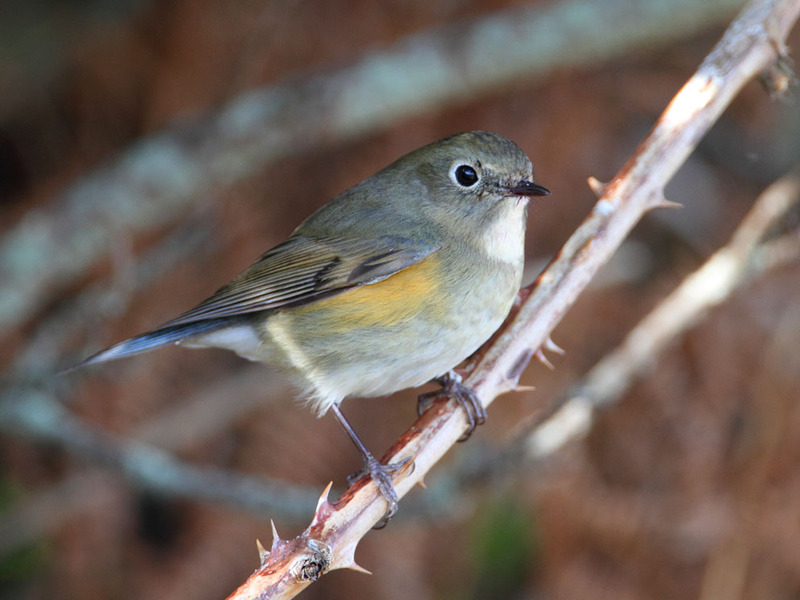 As my case was being delivered directly to the B&B I went straight off to see the sub-alpine warbler. I met David Abbott who had been to the Scillies many times and we looked together. 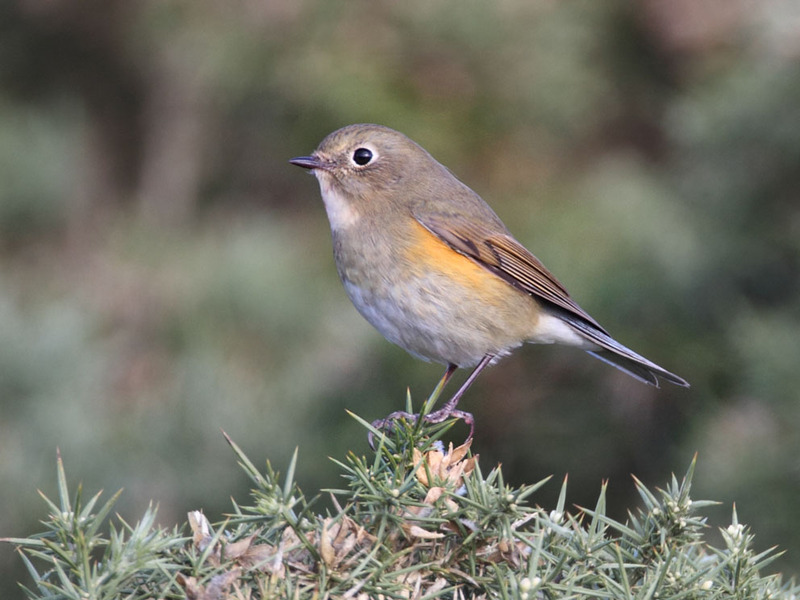 After a brief glimpse of the bird (it was very elusive) I got the 2 o'clock boat to St Martins for the red-flanked bluetail. On arrival, I met Colin Mackenzie-Grieve, who kindly showed me the way as it was quite a walk. Within minutes I was getting close views and pictures of this handsome and obliging bird. 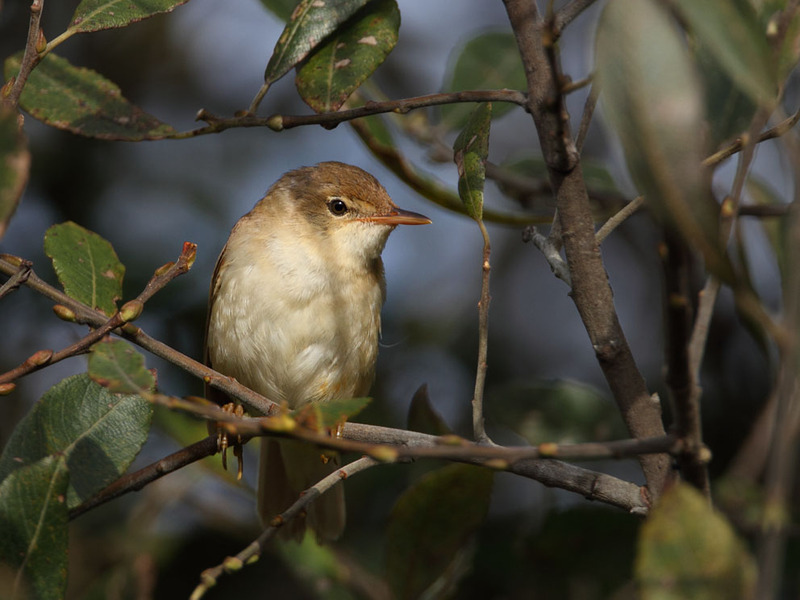 I rushed down to the south of the island for the melodious warbler. After a few minutes the bird also appeared. I didn't want to miss the last boat so I made my way north again to the quay. 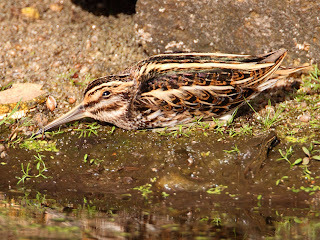 On arrival, I learned of a jack-snipe on a very small pond near the beach. It was in full view and didn't move all the time I was there. Jack-snipe rely heavily on camouflage not to be seen. They will remain motionless until you almost step on them before they move. The bluetail and the 2 warblers were all lifers. My first day had been a success. I sent a few grip texts to David Campbell! That evening I had a meal in the Scillonian club, followed by the bird log. 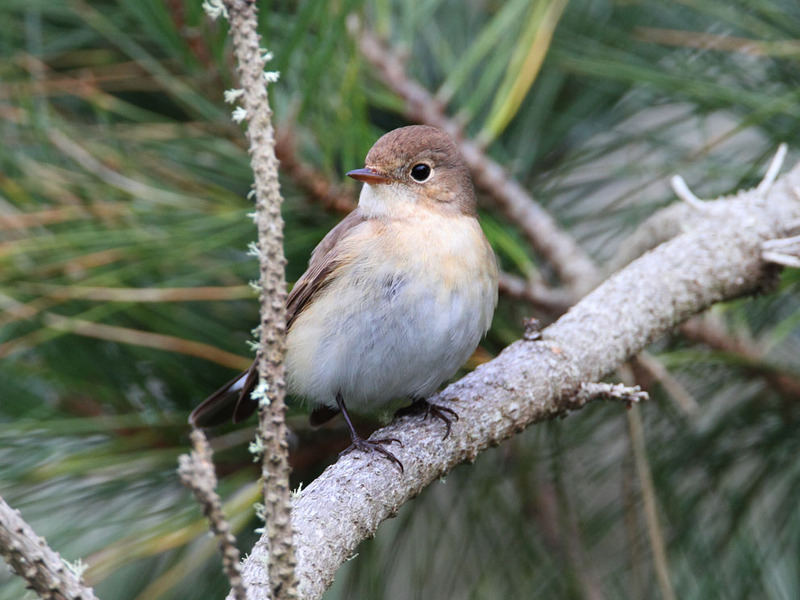 The bird log is where a full list of all birds seen on the islands is compiled. 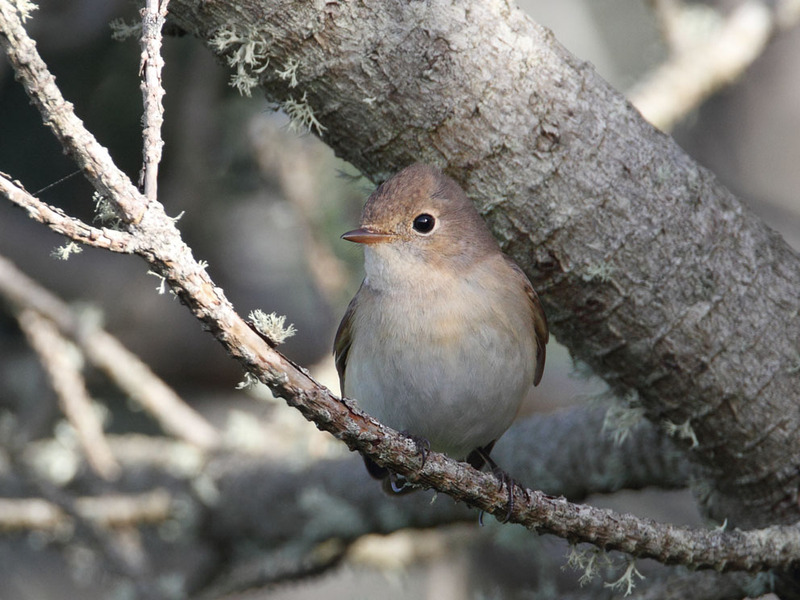 You can then know which birds have been seen where and decide what to do the next day. I spent the morning on St Martin's, at Porth Hellick. 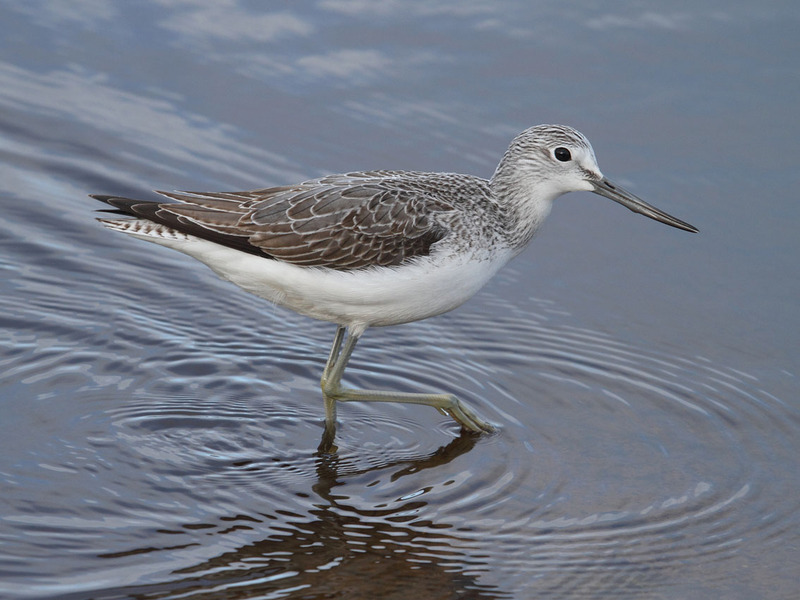 There were a number of yellow-browed warblers, goldcrests and a common snipe close to the seaward hide. News came over the pager of a common rosefinch on St Martin's. I got the 2 o'clock boat. The bird was quite a long way from the quay. I stopped to watch a pair of male pheasants fighting. 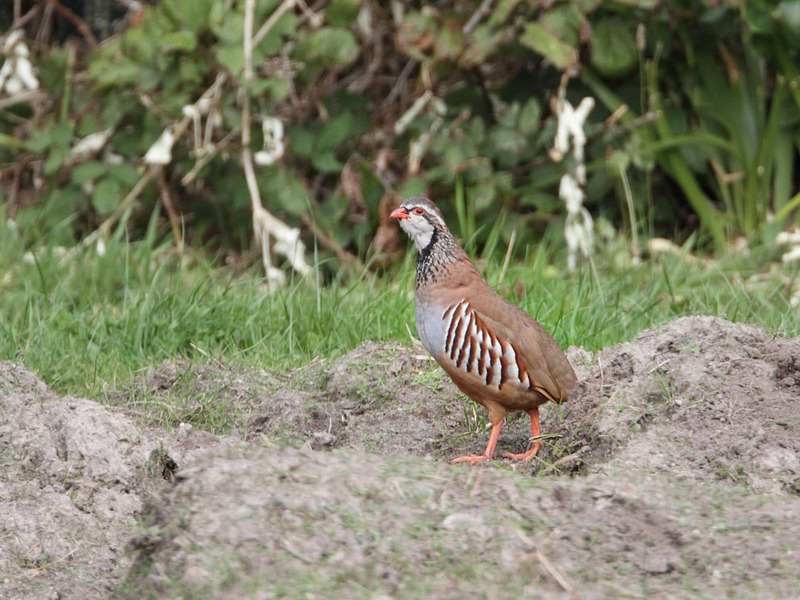 Further on, I surprised a group of red-legged partridges. When I arrived at the field where the rosefinch was I learned that it was in a flock of about 300 chaffinches. They were in a field of quinola and they were difficult to see when they dropped down. 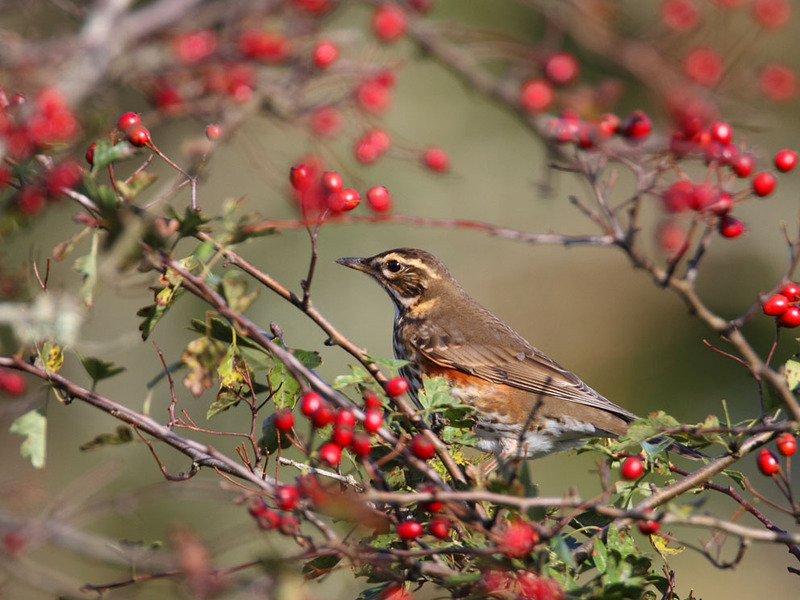 There were also 3 brambling, as well as fieldfare and redwing. Every 15 minutes a sparrowhawk would swoop down and scatter the chaffinches. After 45 minutes the rosefinch hadn't reappeared and I had to get back for the boat. I watched some rock pipits and a cheeky wren on the quayside. No lifers today but I enjoyed the pleasant walks and the fine weather. 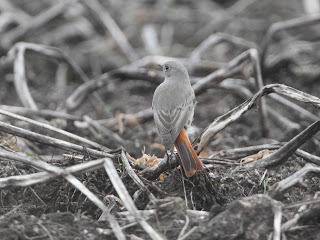 I decided to go back to St Martins for more pictures of the bluetail. I spent much of the day with a birdwatcher from West Yorkshire. On arrival, the bluetail was amazingly tame. On its circuit it would flit between the bushes and the path, jumping down literally at my feet 1 or 2 metres away! Sometimes it was too close to photograph and I had to wait for it to go further away! We watched it for quite a while before taking a walk through the gorse looking for Dartford warblers. After lunch we walked further up the island to the top of the hill where we saw 2 ravens and an aerial display by 2 sparrowhawks. Nah! I can fly upside down. . . . . .
We started back to the quay from the far end of the beach hoping to see the Richard's pipit which had been seen there for a few days. There were 2 birdwatchers in front of us who flushed it at one point. We quickly made our way towards them and I managed to get a few shots of the pipit before it went into the marram grass again. Another lifer! Back on St Mary's we went to see a common scoter in Porthcressa Bay. Whilst there, I watched the turnstones dodge the spray whilst they were on the rocks. At the B&B I sorted through my photos, had a cup of tea, listened to the Archers and relaxed until dinnertime at the Scillonian. Lovely! I spent today on St Mary's. 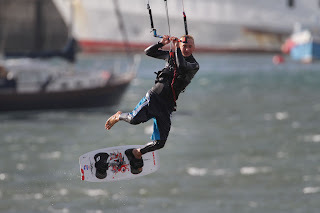 In the morning I took some pictures of a kite surfer as he was lifted by the strong wind. I explored Lower Moor where some water rails were very vocal and occasionally came out. I wandered through the lanes to Porthloo beach, where 3 pale-bellied Brent geese were very close inshore. News came on the pager of a cattle egret. The light was fading and we called Spider to pick us up. On the way there Spider picked the egret up in flight. We got out of the cab and watched it circle over Porth Hellick before it disappeared. Not many people saw it and it was gone the next day. Sunday was quiet. 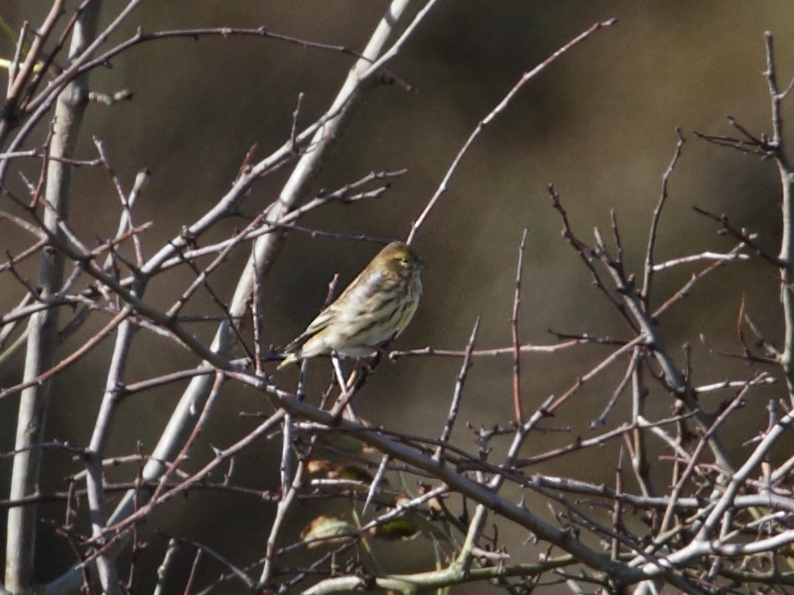 The highlight was a serin up near the riding stables. 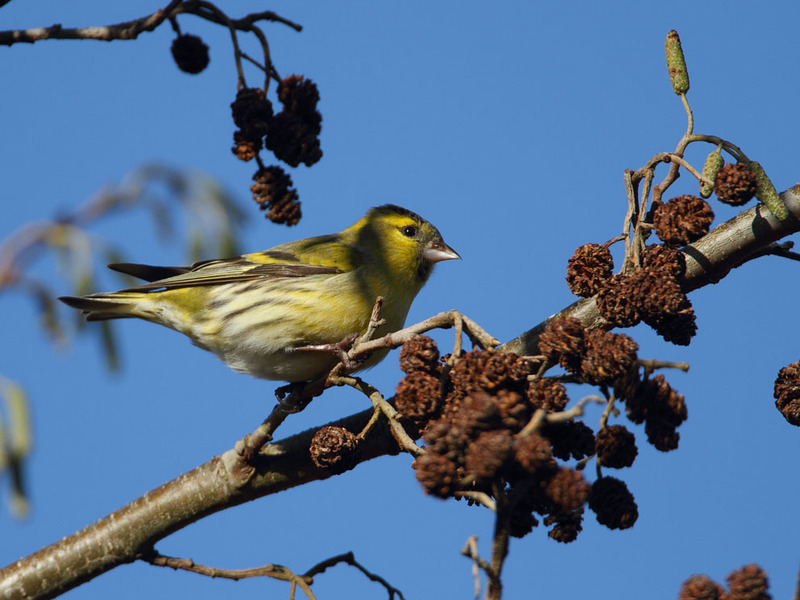 A serin is a very small bird and it was with a mixed flock of other finches. Quite a few people were watching it so it was eventually picked out and I was able to take some distant photographs. 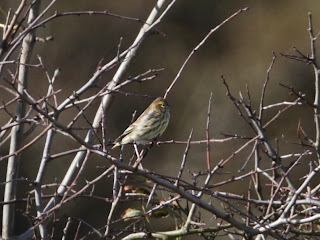 David Campbell was due to arrive today at midday so I decided to stay on St Mary's and go and see the serin again. 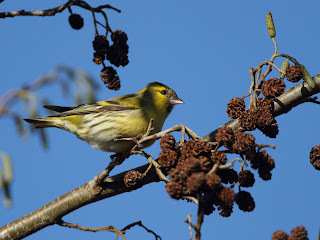 On the way I looked at the feeding station, took some pictures of a large flock of siskin and watched some redwing eating berries. 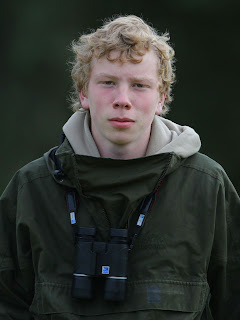 As soon as he got off the boat, David joined me at the serin site. He was very keen to see the sub-alpine warbler so we wandered down there. Typically, someone had just seen it but it was as elusive as ever. After a while, I decided to go to the pumping station and Porth Hellick. While in the seaward hide a water rail flew in and dropped down right in front of me before running quickly into a clump of reeds. Later I met 2 birdwatchers who said they had just come from seeing the sub-alpine warbler. I asked them if young blond lad had also seen it. They told me that David had flushed it from round the corner but hadn't actually seen it! How very unfortunate for David. I wandered back to meet David and we waited 2 or 3 hours until dusk, but the elusive warbler did not show. David and I decided to go to Content Farm. We wandered up there slowly via Porthloo, stopping for elevenses at Juliet's garden, then up round the golf course to Telegraph and then to the farm. 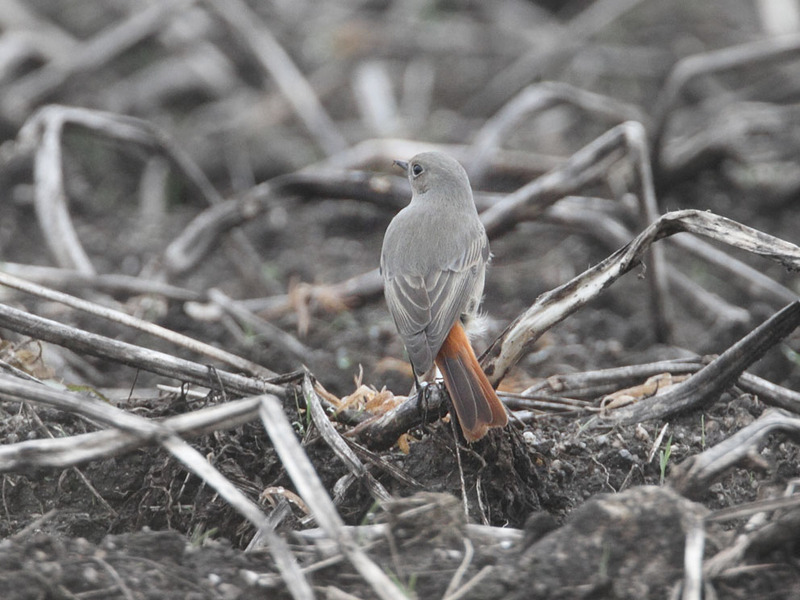 This yielded 2 black redstarts, which we watched for some time. Spider had told us about a small, strange raptor that he had seen on several occasions and which exhibited features of a sharp-shinned hawk. The bird had been seen again by Newford Duck Pond, so David and I went to join quite a large crowd. 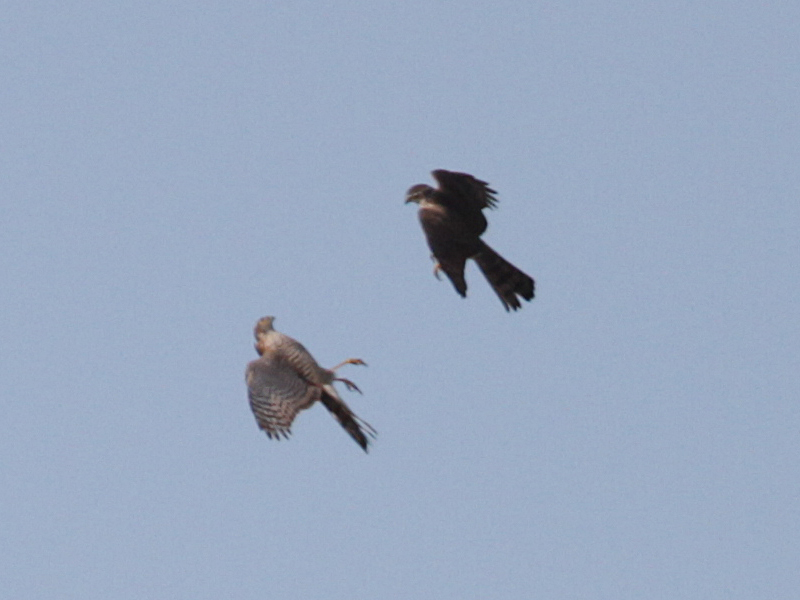 At one point I did notice a small raptor for a few seconds over the tree line, but it was too quick to get a photo. The general opinion amongst the assembled birders was that it was the subject bird. David didn't see it because he was showing me something on his iPhone. I got the blame! We stayed until dusk with no further sighting (echoes of the sub alpine). After dark, news came through of a red-breasted flycatcher up on the garrison. Immediately after breakfast, David and I went to the garrison. After 10 minutes or so we saw the red-breasted flycatcher in the pines. 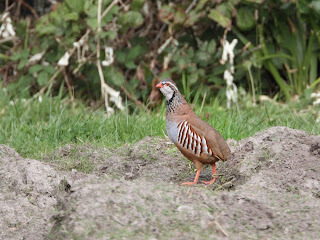 After watching this nice bird for a while we went to the pumping station where a dusky warbler had been seen. 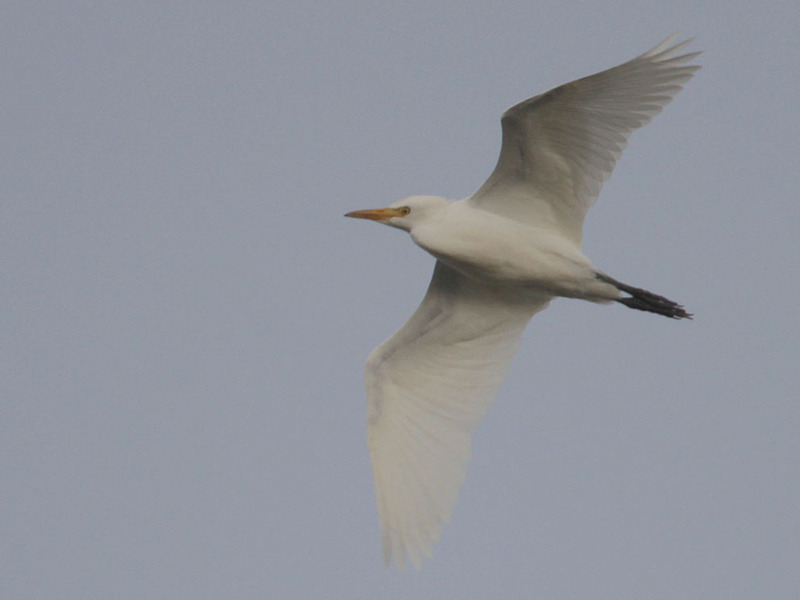 This bird was very mobile but we did eventually get reasonable views. David decided to go to Tresco after lunch but I stayed on St Mary's. I had good views of a reed warbler at the pumping station. After that I went back to the garrison to get some better shots of the red breasted flycatcher. I managed to find a spot a little closer with the light behind me away from everyone else. Patience paid off. The flycatcher came quite close at times, as did some goldcrests, which were very mobile. At the Scillonian club there was a lot of talk about the mystery bird and David was keen to track it down. However, we decided to go to St Agnes the following day. 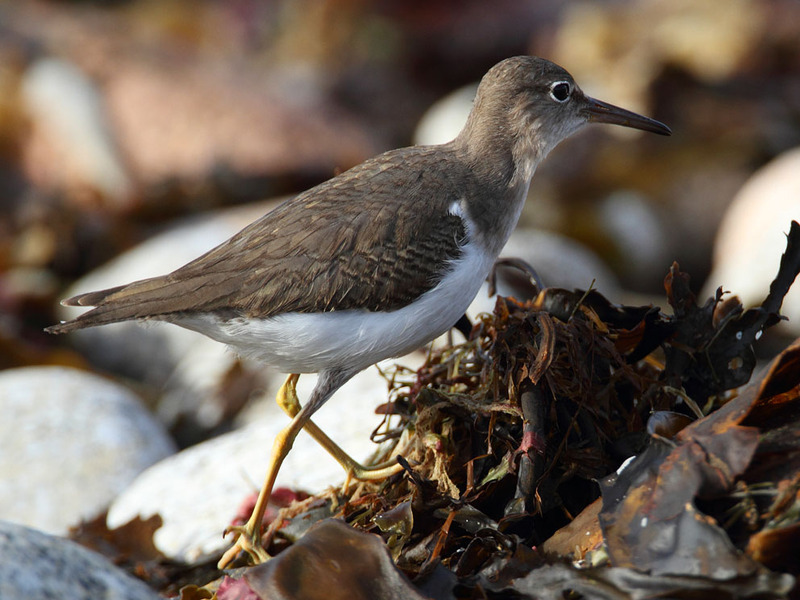 A spotted Sandpiper had been reported and we were both keen to see it. 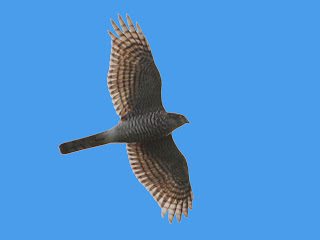 However, we arranged with Spider to pick us up at 8 AM so we could spend a couple of hours looking for the mystery accipiter. Our acquaintances Peter and Jamie agreed to come with us. After an early breakfast, Spider arranged for us to go into the field of a local farmer where the hawk had been seen. The 4 of us watched for an hour and a half before Spider picked us up to take us to the harbour. Amazingly, the boat for St Agnes was full and they wouldn't take us! David and I therefore went back to the field to continue the vigil until the next boat at 2 PM. Although we saw a couple of sparrowhawks there was no sign of the mystery bird. We were entertained by a hunting Merlin which scattered a flock of chaffinches in the next field and caught one of them. The noise was tremendous. 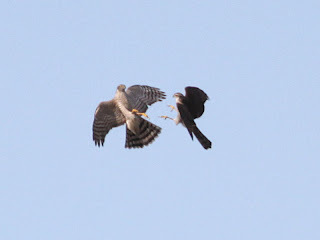 The Merlin then took his prey into a nearby tree. On St Agnes we looked in vain for a turtle dove which had been seen. 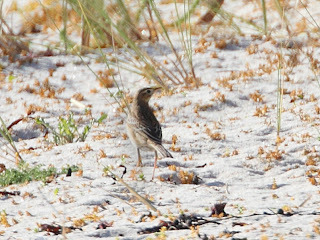 We continued on to the beach where we enjoyed spectacular views of the spotted sandpiper which foraged only 10-15m from us. 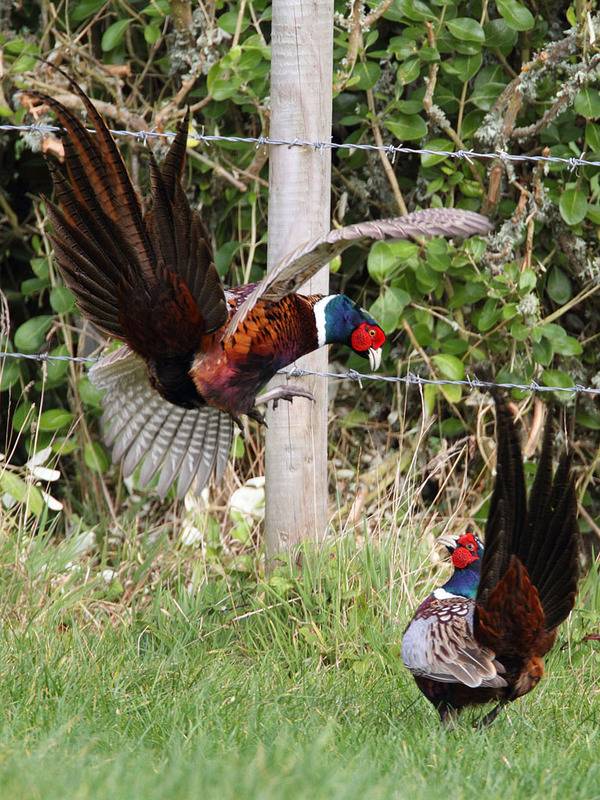 This was a fairly relaxed day with no new birds. 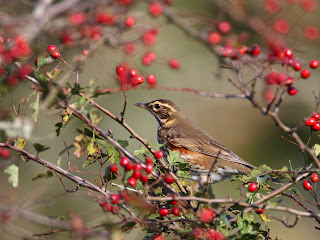 David and I went to Porth Hellick where we finally managed to see a firecrest, as well as a jack snipe on the Lake. We ended up at Porthcressa beach to see a single red-breasted merganser. Surprisingly, the ferry sailing was cancelled today, apparently because of poor weather. Some cynics, however, said it was because the ferry wasn't very full!! 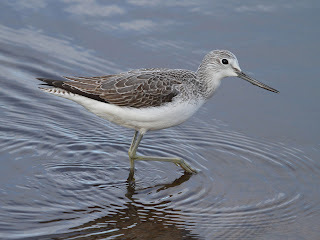 A trip to Lower Moor gave us wonderfully close views of a greenshank. We were due to get the ferry at midday but, even more amazingly, it was cancelled for a second day, something which the owners of our B&B said had not happened for the last 35 years! The B&B had closed and we had to move next door for one more night. As we had more time, David and I went back to the garrison. While he looked at the red breasted flycatcher from the usual path, I ventured into the pines, making my way carefully round the back to a position where I hoped I would be able to take shots of goldcrests or the flycatcher. I had carefully manoeuvred myself into position over a fallen tree when David rang. He had seen a warbler which looked good for Blyth's reed warbler and he urged me to go back immediately to take a picture. This was easier said than done. I had to get myself off the trunk, make my way back through the pines and along the path again. When I was nearly there I heard someone shouting demonically at the top of his voice but couldn't hear what he was saying (maybe that was just as well!). On arrival I realised it was David screaming in desperation because the bird had just disappeared. Unfortunately, it did not reappear that day or at all. I got the blame for that as well! David was in poor humour for the rest of the day! At first light we went back to the garrison hoping to see the promising warbler. It did not reappear and we had to be at the ferry by 8.15. The crossing was uneventful. 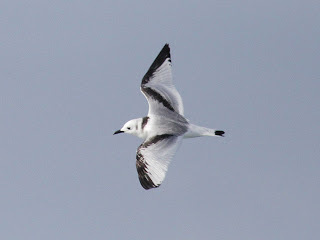 Here is a juvenile kittiwake. An American bittern had been seen north of Penzance. I was travelling back to Sutton with David and his parents and Josh Jenkins Shaw. The weather was awful but we drove north hoping to see the bird. After 45 minutes in the driving rain, cold, hungry and with the long journey to Sutton ahead of us, we gave up. David's parents had thoughtfully bought us Cornish pasties. They were really tasty. Thanks to Gordon and Lois. At Exeter we just had time before dark to see the American golden plover (a lifer). Overall, the trip was very satisfying and relaxing. I met several friendly birdwatchers and I enjoyed the evenings at the Scillonian club. 5 lifers on the Scillies and one more on the way back was a reasonable number. Thanks, as always, David for your company.